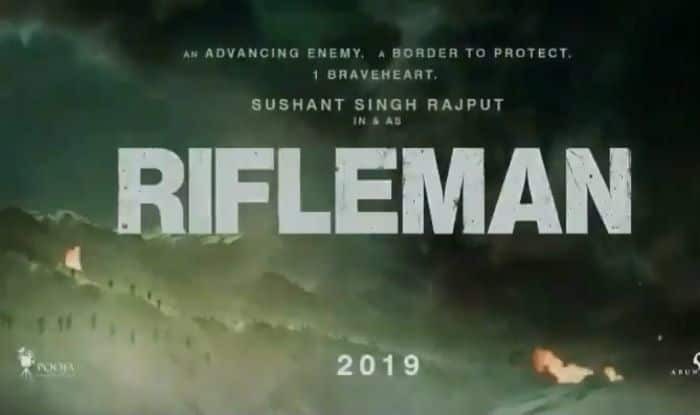 Actor Sushant Singh Rajput‘s upcoming film, Rifleman, has got itself into legal trouble already. The makers of recently release film 72 Hours: Martyr Who Never Died, have claimed that they had the original rights to make a film on the life of Indian soldier Jaswant Singh Rawat. The director of 72 Hours…, Avinash Dhyani organised a press conference on January 19 in Mumbai and stated that Sushant and team should have done their research before announcing the film. The film’s producer Prashil Rawat, and lawyer Nagesh Mishra were also present in the press briefing. The producer of Sushant starrer film, Abundantia Entertainment has sent a legal notice to the team of 72 Hours… stating they cannot release their film because they have the original rights to make the film on Rawat’s life. As reported by IANS, Dhyani, however, said, “We are not going to step back from this issue. I have been working in this industry since last 15 years. If they (Abundantia Entertainment) think that we are going to succumb under their pressure then it’s their biggest misunderstanding.” He also slammed Sushant for not verifying the legal aspect before coming on-board for the film. With Rifleman, Sushant has now five Hindi films releasing this year. The others being Sonchiriya, Drive, Kizie Aur Manny and Chhichhore. The actor had only one release last year-Kedarnath with Sara Ali Khan. While Sushant’s performance was praised in the film, the Abhishek Kapoor directorial couldn’t do wonders at the Box Office.